So you want to learn how to make pancakes like a boss? Well, before any cooking gets underway let's start by clarifying what type of pancakes you'll be making. You see, the word pancakes means different things to different folks around the world. Lets take a quick test before heading to the kitchen. Do fluffy buttermilk pancakes make your mouth water? Then you, my friend, are a fan of American pancakes. What if you dream of waking up thin crepe-like pancakes? Then nothing but European pancakes will satisfy your craving. 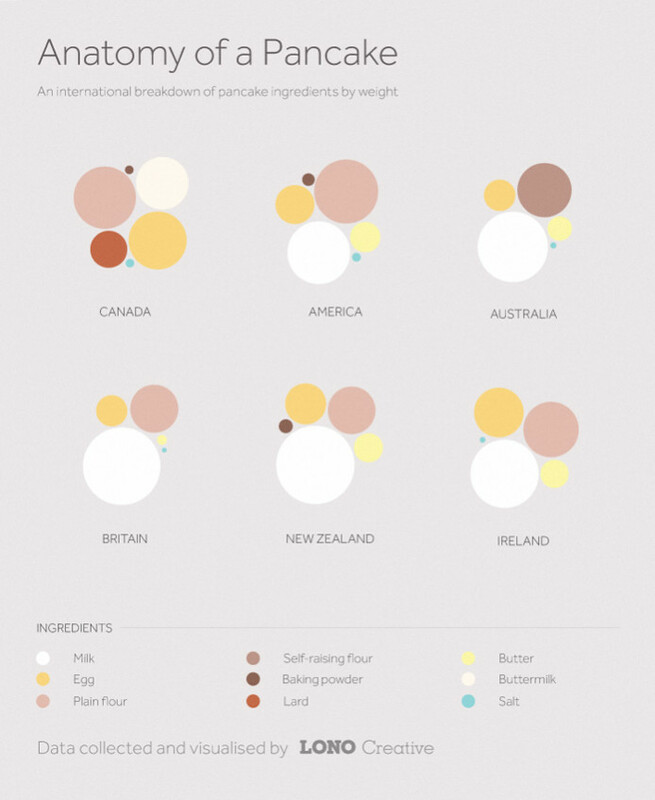 Of course, every European country has their own interpretation of pancakes (and you can read all about them here) but, generally speaking, they tend to be thinner than the ones preferred by Americans. These three simple tips will help you cook pancakes like a pro. Now all that's left is selecting the right recipe and cooking method. Head on over to our Recipes section where you'll find favorites like Bohemian sour cream pancakes with plum jam (pictured up top) or savory buckwheat pancakes. If you love American pancakes, check out this mess-free pancake recipe from Justin Chapple over at the Food & Wine Test Kitchen. He demonstrates a simple shortcut that can save you time in the kitchen and dishes in the sink. To make the perfect crepe-like pancakes, give this video a watch. The folks at Tesco show you the perfect technique for ensuring a light, thin pancake that can be used in sweet and savory preparations. Now, if you've got a creative streak you might enjoy having a little more fun with pancakes. This video from Joy of Baking illustrates how to make a killer baked pancake with berries. Remember, when it comes to making pancakes the possibilities are endless. All that matters is that they taste amazing. By following these tips you'll be well on your way to making pancakes like a boss. Have any further questions? Share your thoughts in the comments below and we'll help you with your cooking conundrums.